Among the various symptoms associated with multiple sclerosis (MS), bladder dysfunction such as an overactive bladder is among the most prevalent, with 80 percent or more of patients experiencing it at some point in the course of their disease. Fortunately, overactive bladder in MS is treatable and can be managed by physician intervention and patient participation. Bladder dysfunction such as overactive bladder is a direct result of the disease’s attack on the nervous system. As MS lesions develop, they affect transmission of nerve signals between the brain and the nerves that control the bladder and urinary sphincters. This leads to an overactive bladder that cannot hold a full capacity of urine in the patient. The severity of an overactive bladder in MS will ultimately determine the course of treatment. The first step in diagnosis is to rule out a urinary tract infection, which can cause similar symptoms as an overactive bladder. Assuming there is no infection, a physician will seek to determine the residual volume of urine in the bladder after urinating. Less than 100 ml — considered a low volume — is typically treated with medications in order to decrease frequency and urgency. Residual volume that is high – more than 100 ml – suggests bladder retention and may require a patient to use self-catheterization to ensure the bladder is fully emptied before taking medication to control overactive bladder symptoms. 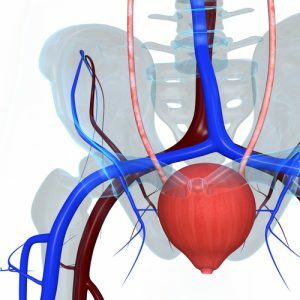 A newer therapeutic approach to controlling an overactive bladder in MS is the use of Botox (botulinum toxin), which is injected directly into the bladder wall. While Botox injections are not a permanent solution to an overactive bladder, they have been found to manage the symptoms for between six and 10 months. However, the treatment often requires self-catheterization after administration.